Today brings with it the last, but certainly not the least, of the BDH Royal Ascot previews. Fittingly it is the Wokingham Stakes that falls under the microscope as I try and uncover the next York Glory amongst the also-rans of the valuable 6f sprint handicap. The runners split into 2 groups here although it was very much a middle to low heavy field as only 6 runners actually stayed on the stands side. Despite being in the main group the runners that were coming from stalls 1 – 11 really struggled to land any significant blow here with their best position being MASS RALLY in 11th. It significantly paid to be in the middle group of stalls here and the 1st, 2nd, 3rd, 5th & 6th were all drawn in an 8 stall range (stalls 12-19). POOLE HARBOUR made the pace from down low but the main group of runners bunched into the middle and he ended up acting as front-runner for them all. BABAK CHINTA acted as a good wing-man for the overall leader and it was his early pace pushing that helped set it up for the hold up horses; the first 5 home in the main group were all hold up horses. From the high numbers it was ZERO MONEY who led the raiding party but he is far from a regular pace-setter and he just didn’t go fast enough to pull his small band of horses into contention. The pace coming down the middle played right into the hands of the winner YORK GLORY and he was able to hook behind the main pack from his draw and cruise menacingly into contention before landing his killer blows inside the final furlong. This was an impressive run from a horse that is probably going to go on and make his mark in Graded company. Second placed SHROPSHIRE was another that was able to sit out the back and come through late although he had no answer to the winners finishing burst. This was a career best run and he now finds himself on a career high mark, a mark he may well struggle from. Third placed DINKUM DIAMOND got going a little too late but this was a fine effort and he took advantage of his decent draw. Fourth placed KHUBALA was the first home from the stands side runners and this was a decent effort considering he would have liked a bit more cover. Fifth home was GLASS OFFICE and he was another that came from out the back. He is still lightly raced and probably still has more to offer. It should be noted that 3yo’s have a pretty poor record in this race so fifth was a sterling effort. Sixth placed REX IMPERATOR was another that took advantage of his draw and came from off the pace late. He has only has 2 wins from 14 to his name and seems a bit inconsistent for my liking. Seventh placed ELUSIVITY was the 2nd home from the high stalls and although this was an OK effort he is going to want a bit more cut in the ground before he is winning again. DUKE OF FIRENZE came home in 8th (3rd in his group) and realistically had no chance from the highest stall of all and racing in the small group. For him to get as close as he did was a fine effort as this really didn’t play to his strengths. I think he is plenty better than this, I really do. He had little to no chance from stall 26 here and with no pace up his side his cards were played and busted as soon as the gates opened. He was finishing strongly here but he was never going to be able to get into a position to strike a killer blow. He was dealt a poor hand but in fairness I though he made the most of it. As his win at Epsom in the dash testified he loves coming late and fast and passing through runners in the closing stages. He didn’t have any chance of doing that here but it was noticeable that he started to pick up and gain interest as others dropped back to him late on. He obviously loves threading his way through a pack, it brings him alive. Ryan Moore is the perfect foil for him as he can get the horse stoked up out the back and the horse will keep responding for him when asked. I think a strongly run 5 furlong may just be his optimum conditions although I would certainly not discount him when running over 6 furlongs. Is he a Group horse in the making? Possibly. I do think he has plenty of talent in the locker and a mark of 101 certainly doesn’t seem beyond him. After that, who knows. Conditions – He will be a very difficult horse to win with from a poor draw so we really want to see him in a large field, covered up behind a strong pace and on the correct side of the draw. Ground wise he seems to be a Good ground type of horse, he certainly doesn’t look like one that would want it any softer. I do think there is a handicap still in him although Graded company may also be within his compass as well. DUKE OF FIRENZE now enters my Proform ‘Horse Watcher’ tool (horse tracker in other words) and I will post on the Blog when he is due to run next. The BDH war chest has now been stocked up nicely after Royal Ascot, we now just need a couple of them to deliver the goods York Glory style! This was another race where the field split into 2 distinct groups (actually 3 groups for about a furlong); 12 stayed high up near the stands side and the other 15 stayed low. There was actually pace on both sides of the track but the high numbers had 2 runners (Shamaal Nibras & Mont Ras) vying for a clear lead as well as Dream Tune pushing closely in behind, the net result being this side were setting the strongest pace. The low numbers only really had one front-runner in the shape of Powerful Presence, a position he has not taken up in his recent runs and possibly the reason why the low numbers didn’t get into the race much. Highland Colori struggled a touch to get to the front from his wide draw and that could also be a reason for the lack of any real pace from the low stalls. There were a few career best’s and running close to their career best’s here so this does look like strong form. With the high numbers dictating the pace it was the held up LIGHTNING STRIKE from stall 27 that took advantage of things and he swooped inside the final furlong to clinch the deal. The race unfolded perfectly in front of him and he was able to travel sweetly into contention and press on to a comfortable victory in the final 150yds. This was a career best performance and he has now been raised to a career high mark of 100. Second placed DREAM TUNE was right in the firing line for most of the race and was actually headed for 2nd before regaining the spot near the line. This was also a career best and he also now finds himself on a career high mark. Third placed SHAMAAL NIBRAS tried to lead his group for a bit and that maybe took its toll as he faded in the finish. Like the front 2 this was a career best and (yes, another one!) he finds himself on a career high mark. He may need the ground to soften a bit before he visits the winners enclosure again. Fourth placed SANTEFISIO was the first home from the other group and he met a bit of interference when making his run. It wouldn’t have effected his overall position but it is worth noting that he still ‘won’ on his side despite this. Again this was a career best run but he is starting to maybe look a bit held by the handicapper. Fifth home was ES QUE LOVE and this was a solid performance, albeit from the correct side of the draw. Sixth placed LOVING SPIRIT ran well from a good draw but he has only 1 win from 15 starts and although this was right up to form for him he is struggling to get his head in front. REDVERS was the next home from the far side group and 7th home overall. This was a solid run and a career best and it should be noted that he met with interference at around the 1 furlong marker. He was travelling strongly when not getting a clear passage and he looks to still be on the upgrade. This 5yo was possibly travelling best of all on the far side at around the 2 furlong pole but the doors starting shutting in front of him as the others tired and jockey George Baker had to get serious on him to find the gaps. By the time he got in the clear SANTEFISIO had stolen a march and had clinched top spot on their side. He was running off a career high mark of 95 here after a comfortable victory at Haydock on his last start but he seemed to cope with that weight rise just fine and fired in a career best run on RPR figures in the process. 3 of his 5 career wins have come in July and there is obviously something he loves about the middle of summer. He clearly handles a straight track but I would also be more than interested if he were to line up on a left-handed track as well. He does need to overcome a career high mark of 95 but the way he ran on Saturday suggests that should not be a massive problem. He has also only had 21 starts on turf so there should be room for some improvement still to come. Conditions – Ideally we will be looking for a prime target for him in July. Ground wise I want at least Good ground for him. Other than that I think we can be fairly flexible although it goes without saying that if he is on a straight track we want him where the pace is at. REDVERS now enters my Proform ‘Horse Watcher’ tool (horse tracker in other words) and I will post on the Blog when he is due to run next. The BDH war chest is growing nicely and I still have a couple of others up my sleeve from Royal Ascot yet to come. One of them can actually be found elsewhere on the Horse Racing Ireland website where I will be guest blogging once a month. In today’s article I take a look at the Jersey Stakes and pinpoint one for us to follow. The field split into 2 distinct groups; 7 stayed low whilst the others all stayed or went middle to high. As you can see from the pace map it was the low numbers that held the pace advantage, in the end it was a fairly hefty advantage, with the first 4 home all coming from the low group and the 5th coming form stall 10. Educate switched all the way over from his 11 box and ended up running in essentially the 28 box position, a move that severely compromised his chances. Prince of Johanne & Stirring Ballad both made late switches after about 2 furlongs and went across to the larger group on the stands side, again severely compromising their chances. Arsaadi set a strong pace for the low numbers and he was backed up by a clutch of pace pushers, all this played to the hands of Belgian Bill who picked them off from out the back of the small group. This is a good example of the fact it doesn’t matter if you have a large group to run with, the important aspect is that you have a group with plenty of pace in it. Had the horses that switched late stayed low instead I’m in no doubt they would have finished much closer. As already mentioned the winner, BELGIAN BILL, was given a fantastic tow into the race by the pace pushing runners in front of him. He was able to hook onto the back of this pace quite easily and strike inside the final furlong, winning fairly readily in the end. Second placed PREMIO LOCO fired in his best run for some time and this was not only a sign that he benefited from being where the pace was but also that he benefited from dropping back into handicaps and sits on what is probably a pretty handy mark. Third placed ARSAADI did most of the donkey work down the bottom end, which isn’t really her style, and in the process recorded a career best on the figures. She had been dropped 4lbs since her last start and there are signs that this new mark is much more within her range. Fourth placed DONT CALL ME ran 3rd in this race last year but that was from a 14lb lower mark and he was another than quite rightly was handed a career best RPR figure. As with the others round about him he also benefited from being where the pace was. Fifth placed DAVID LIVINGSTONE was the first runner home that wasn’t in the far side group. The break-away group had grabbed enough of an advantage, however, by the time he got into top gear and despite this being a decent effort it was, ultimately, in vain. Sixth placed FIELD OF DREAM put in some sterling late work and almost nabbed the race on his side of the track, only failing by a short-head to peg back David Livingstone. He was held up out the back of the big group and that made life difficult for him, mainly because he had to get a tow into the race from runners that were a length or two down on the pace setting low drawn group. This 6yo gelded son of Oasis Dream put in some fine late work from his unfavourable draw and was finishing with some rattle once jockey Adam Kirby had him stoked up. For me this was a clear indicator that he has now slipped down to a winnable, or at the very least, competitive handicap mark. He won a valuable handicap at the track last July from a mark of 99 and was then raised in the weights to marks in the 100’s (went as high as 104 at one stage). Although he ran some decent races from those career high marks (including a decent 4th off 103 at Ascot last September) he did give the impression that he was in the grip of the handicapper. He ran here off a mark of 98 and in the process recorded his best RPR figure since the aforementioned 4th last September, again another indicator he is coming to the boil. He seems to really relish the cut and thrust of tanking down a straight track and my inclination is that this is where we should be looking to get the money down on him. It should also be noted that 3 of his 4 career wins have come when returning within 30 days of his last start (other came on racecourse debut in Italy) and it does look like he is a horse that performs at his optimum when he has had a recent run (within the last month). His form when running after a break of 31 days or more reads 300370852068 and also backs up that a recent run is preferable. There was plenty of talk about the draw in this race (mainly concerning Richard Hughes and his switching tactics) but there is every chance this lads fast finishing effort skips under the radar a touch. Conditions – We can keep it simple with this one; a straight track, running withing 30 days of his last start and from or around his current mark of 98. He looks to be coming into form and is now back to a mark he can win from, the added bonus with him is that he isn’t that often well supported in the market. FIELD OF DREAM now enters my Proform ‘Horse Watcher’ tool (horse tracker in other words) and I will post on the Blog when he is due to run next. 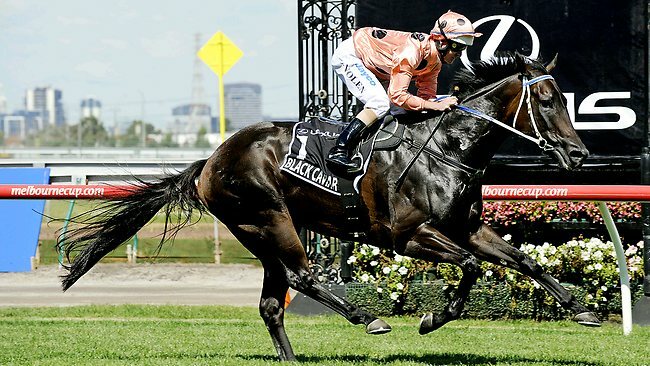 Can another Oz raider follow in the hoof-prints of Black Caviar? Amazingly that is us now staring day 5 of Royal Ascot 2013 slap bang in the chops! Day 4 at Royal Ascot (or Friday as some may prefer to call it!) was far from a day of heavy hitting for me. I was pleased, however, to see the Ballydoyle inmate LEADING LIGHT fire in a battling victory in the Queens Vase. Mainly because it bolstered the Montjeu offspring record over 2m+ at the track. I like those angles, so I like to see them stand up under pressure, I’m a man of simple pleasures! LEADING LIGHT is a gutsy, battling sort of colt and I like his attitude, it will be interesting to see how he is campaigned from here as I think he has plenty to offer. Performance of the day has to go, however, to SKY LANTERN. That was a mightily impressive display in the Coronation Stakes and fully confirmed the impression that she is a filly right out of the top drawer. She scored full marks on my trends for the race so I wasn’t surprised by the win, but the way she won from her tricky draw DID surprise me. The ‘Sky’ could well be the limit. Before I lavish you with the final FREE BDH Royal Ascot analysis guide of the week it’s time to put the cavalry charge that is the Wokingham under a bit of scrutiny. I’m not sure if it is the racing gods conspiring for us or against us but we have ended up with 2 recent BDH to follow horses going to battle here; YORK GLORY & DINKUM DIAMOND. Of the two of them I would say it is DINKUM DIAMOND that has the best of the draw, however, YORK GLORY should also just have enough from his draw to hook onto the back of the pace. I’m thinking it is low to middle that has the call here. Obviously that suits DINKUM more than YORK but I can see a situation where the high numbers swing down low early and hook onto the back of the main group. After that you are still left with around a third of the field but importantly it still has DINKUM & YORK in the frame. Both look to have conditions in their favour and at the prices – YORK GLORY 16-1, DINKUM DIAMOND 25/1 – I’m happy to have them both on my side. Even if they don’t fire today they won’t be dropping off the to follow list, there is every chance it will be a messy race. Now onto the final race in focus for the week; The Diamond Jubilee. Hopefully you have all enjoyed the BDH analysis through this Royal Ascot week. As always it has been a tricky assignment and personally I’m glad I cherry-picked my targets. On joining you will be sent a link to download a multitude of FREE GUIDES. Will the Guineas 1-2 fight out the finish again today? Day 4 of Royal Ascot 2013 doesn’t hold a huge deal of interest for me if I’m honest, nothing I want to put a guide together for anyway. Instead what I have for you is a few trends pointers, pace maps and Dosage profiles for you to add into your own analysis. As always though lets take a quick look back at yesterday’s race in focus; The Ascot Gold Cup. First up I have to say, on reflection, it was a slightly unsatisfactory race. They crawled along for the first 4 or so furlongs and even turning for home they were still quite well bunched. The last thing I wanted to see was SADDLERS ROCK & COLOUR VISION trying to make the pace in the early stages, the simple facts are that front-runners struggle to win this race, especially when they are setting no sort of pace. I was slightly happier when EARL OF TINSDAL took up the lead but even then he took a long time to inject any sort of pace. Personally I wouldn’t be too convinced how strong the form will prove to be for this renewal. COLOUR VISION looked the most likely to do the business and credit where credits due it was a big run and some sort of return to form. Front-running or at least sitting right on the pace isn’t his cup of tea and if there is one that do I want to take from the race it may well be him. To be honest that doesn’t chop off much of the field at all! It’s one of those types of races. All a bit of guess work but from the limited data we have so far it could be a middle to high pace bias, not something I will stick the mortgage on though!! Essentially I’m not getting involved in this. If you are able to use anything from the above to help you then great, personally it will be a note taking race for myself. A short-priced Ballydoyle fav taking a whack out of the market here so if you want to be against him you will have some juicy odds on your side. Interestingly that plonks the fav outwith the majority ranges. A healthy turn out for this fillies Grade 1 and we have both the English & Irish 1000 Guineas winners in attendance. Good luck if you are getting involved. Despite being a staying contest for 3yo’s this isn’t a particularly strong race for the Dosage trends at all. Essentially this has been a market driven race with most recent winners starting in the top 3 of the market, in fact 4 of the last 5 winners have started as favourite. They are also winning more than the market expects them to. A quick scan of today’s runners tells me that Montjeu has one of his kids running for him in the Queens Vase; the current 2/1 fav LEADING LIGHT. He has a penalty to carry (only runner in field that does) but he is rated upwards of 8lbs superior to the others. Once again, best of luck if you are getting involved. Hmmm…precious little clues there really as it looks a pretty even spread on the pace front. It may just favour middle to low drawn horses but the key horse could be Maverik from box 18. If he goes high then that gives them an advantage, if he stays middle then it’s a completely different complexion. My gut feeling is that he will stay middle and it will be middle to low that is where the pace is. That, however, is only a gut feeling and nothing more. If the bottom numbers do blitz away it could be something down low that is grabbing onto their coattails and gets a good tow into the race that eventually prevails in this puzzler. In essence this isn’t a Royal Ascot day I’ll get overly involved in, if indeed involved at all. There is an ‘NTF Summer Stunner‘ running at Market Rasen today who I’m much more interested in to tell the truth. If you have the FREE Summer Stunners guide you will know who I’m talking about, if not then grab yourself a copy here. I will be back tomorrow with a full-on Dosage & Trends assault on the Diamond Jubilee Sprint as I aim to finish Royal Ascot week the way it started; with a Group 1 sprint winner! Happy Royal Ascot punting if you do indeed plan on getting involved. Can the Queen land the Ascot Gold Cup with Estimate? Day 3 of Royal Ascot 2013 comes rumbling into view and the main attraction of the day comes in the shape of the 2m4f Ascot Gold Cup. The Grade 1 stayers contest will be my race in focus today so it will be a little bit of a deviation away from the straight track action. Before we pull on our marathon boots, however, let’s take a look back at yesterday’s analysis race; The Royal Hunt Cup. First things first the pace played out a bit strange and that was always the worry when there was no real confirmed front-runner in the pack. It was a bit of a guessing game beforehand (on the pace angle) which is unusual for a 30 runner field. Secondly, what on earth was Richard Hughes thinking on-board STIRRING BALLAD?! If he had been drawn near the centre then fair enough but switching across the track from stall THREE AND after they had traveled a furlong and a half?! The fastest way from point A to B is more often than not in a straight line and it was clear after a furlong that the low drawn group was where the serious pace was at. The dramatic switch by Hughes most certainly compromised the fillies chances and I would be happy to draw a line under this run. No more moaning from me on the subject though, I don’t risk my life day in day out on the back of a thoroughbred racehorse and I’m sure Hughsie will make up for it sooner rather than later. On the figures front here is how the shortlist played out..
Woof! Well wide of the mark. But when you look at races of this nature you have to be willing to take these results on the chin and accept that sometimes your in-depth work will be in vain. I’ve been doing this long enough to be happy with the fact that there will be races of this nature sent to make you look a mug! It’s a long term game this and you can’t win ’em all (despite what some people say!). But where did the winner sit on the final figures? On my adjusted figures the winner (Belgian Bill) wasn’t that far away from my main group at all. You have to draw the line somewhere, however, and he just failed to make the cut. Now onto the race in focus for day 3 of Royal Ascot 2013. At the top of the Ascot Gold Cup market is the Queen’s horse ESTIMATE, trained by Sir Michael Stoute and ridden by Ryan Moore. It is sure to be punted by many today due to those 3 factors alone (Queen, Sir Stoute & Moore) and the fact it won last time out is going to persuade plenty of casual punters to have a dabble. That is good news for those of you that want to look elsewhere in the Ascot Gold Cup as it should keep the prices of the others up, to a certain extent. What we do have to watch out for today is the ground. It has actually firmed up over night and is currently Good To Firm. However, I do believe there is rain forecast today so lets keep an eye on the weather and some potential easing of the ground. Hopefully any rain won’t significantly chance the underfoot conditions though (fingers crossed). Happy Royal Ascot punting, however you decide to put the guide to use. Can Camelot bounce back to form? Day 2 of Royal Ascot 2013 and plenty more high octane action for us all. Today I’m diving head first into the 30 runners Royal Hunt Cup and ripping it apart with my unique Dosage & Trends analysis. Before I lavish you with the latest FREE guide I just want to take a look back at how the shortlist fared in yesterday race in focus; The King’s Stand Stakes. Safe to say I’m pretty happy with how those figures panned out. Johnny Murtagh produced Sole Power fast and late and floored the fav in the shadow of the post, he really is a master of these sprint contests at the track. Yesterday you guys also played your part by successfully voting DAWN APPROACH as the most likely winner of the St James’s Palace Stakes. And what a fantastic race it was as well, wasn’t it? Now onto my race in focus for the day. The Royal Hunt Cup is a full-on cavalry charge down the Ascot 8f straight track. With 30 runners the draw can be extremely important. From my figures it looks like the pace is middle to high but again it isn’t straightforward and if they all converge into the middle, which is a possibility, then that would bring the lower numbers into play. Can Animal Kingdom get favourite backers off to a flyer? Royal Ascot 2013! The waiting is finally over. Day 1 begins with a bang and a three pronged assault. It starts with Animal Kingdom trying to cement his place as the best horse in the world in the Queen Anne Stakes. The speed-balls are next out of the traps in the King’s Stand Stakes as they try and blitz down the 5f track. Then Dawn Approach starts on the road to recovery as he attempts to put his Derby misery behind him with a shot at the St James’s Palace Stakes. Nothing like starting slowly is there?!? Royal Ascot can be a real ball-ache over the 5 days and if you aren’t careful it can leave your punting bank high and dry. My advice is set out a plan early on and stick to it. You don’t want to be throwing bets out willy nilly so plan your assault and stick to the path you have chosen. To try and help you along the way I will be covering one race each day here on the Blog, starting with the speedster’s in the King’s Stand Stakes. I’ve produced my usual pace-map in the guide and it looks like there should be an even-ish spread of pace across the track, although if push comes to shove I would probably plump for the middle as being the zone where most of the pace is happening. Royal Ascot Sprints: Do you want to be making the pace, behind the pace or off the pace? The 5 day extravaganza of Royal Ascot kicks off tomorrow with equine stars from all over the planet looking to strut their stuff in front of Her Maj. I plan on covering 1 race a day here at BDH, in a similar fashion to the way I covered Epsom for you. Unfortunately I don’t have time this week to produce the full guide (usually I have a subscription based service for Royal Ascot) but the FREE 1 race a day guides should be excellent value for you all :). I have had plenty of you asking if there will be some sort of subscription service from myself for this flat season but as you have probably guessed the answer to that is no. This has also raised the question of will there be National Hunt service for 2013/14? The answer to that is a resounding YES! Don’t worry on this score, the NTF service will resume in October time with the usual full and in-depth race coverage as well as a number of new and exciting features for NTF members. Now I have cleared that up, today I want to take a quick look at pace profiles at Ascot over the straight 5f and 6f tracks. Obviously at some tracks it can pay to be making the pace over the sprint trips (front-runners) and at other tracks the best option is to strike late from out the back (hold-up horses). There are a number of races over these sprint trips at Royal Ascot and they will all be well contested affairs with little room for maneuver, you not only want your horse drawn where the pace is but you will also want it in the correct position to strike and maximize it’s abilities. So, are there any biases when it comes to running styles and pace positions over the sprint trips at Ascot? To find out the answer I opened up my trusty Proform database and started digging. I looked at all races at the track from 2008 to present over both 5f & 6f and also filtered it to fields of 10 or more runners. Front runners win more than they should based on market expectations, Close to Pace runners win about what the market expects and Hold Up runners win less than expected. Over the 5 furlong trip at Ascot the figures tell us that you ideally want to be sitting close to the pace. Hold-Up runners win their share of races but it isn’t as much as the market expects. The most interesting angle is undoubtedly the front runners over this minimum trip as they markedly out-perform market expectations, have provided huge profits to level stakes and have won as many races as the hold-up runners but from a massively smaller sample size. Interestingly all 3 running styles win roughly the amount of race the market expects them to. So stepping up a furlong tells us there isn’t any real bias in terms of running styles although the drop off in winning front-runners compared to 5 furlongs is noticeable, it is clearly tougher to hang on out front over 6f than it is over 5f. It is a small enough sample size but nevertheless it is a fairly solid indication that he can place his horse in the perfect position to strike in these tricky contests. 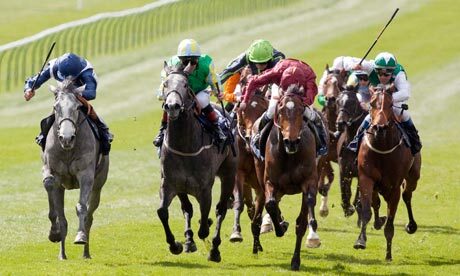 I will be back tomorrow with a FREE race analysis guide on day one of Royal Ascot 2013.